It’s not just Todd Helton’s home run in his last game at Coors Field that is generating some national headlines for the Rockies. 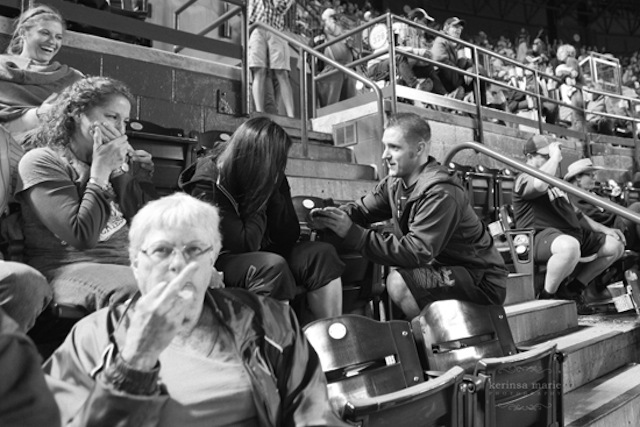 So is this photo-bomb of a Mile High marriage proposal. $10 to the first person who can identify her. JohnstonWells Public Relations has added Serr Her to manage social media strategies for the firm and its clients. Serr’s experience includes managing social media for Denver Hmong Alliance Church and for the SALT young adults conference at Wheaton College. He graduated from the University of Colorado Denver in Communication with an emphasis in Public Relations and a minor in marketing. He also received a public relations certificate from the Communication school at UCD. VOCO Creative has added three new clients: Cuties, shoemaker Ghiselli + Schwartz, and Colorado Asphalt Services. Congratulations to Peggy Gonder as Gonder Public Relations celebrates 25 years of providing public relations and marketing services. To commemorate the milestone, Gonder PR is providing pro bono services to the Colorado Women’s Hall of Fame (where Gonder is a board member). Steve Raabe at The Denver Post reports that Smashburger parent company Consumer Capital Partners has launched a Press Effect, a public relations firm led by managing partner Stacie Lange. 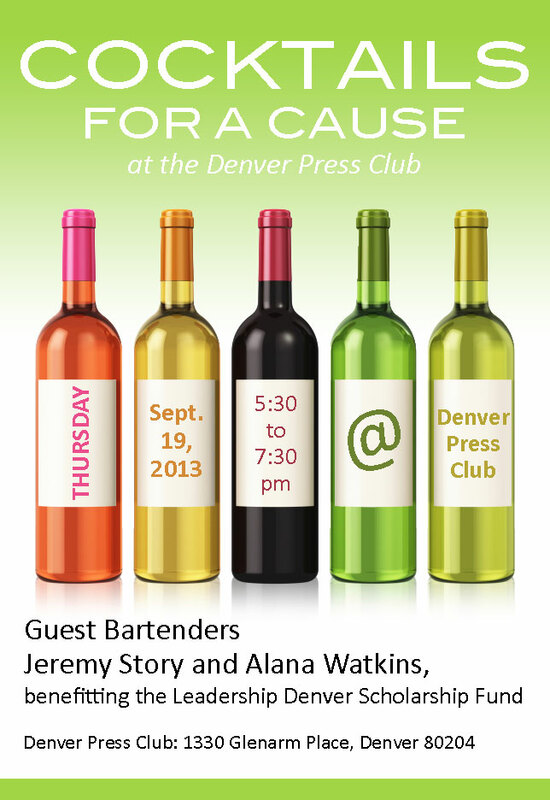 Alana Watkins of Voca PR and I will be the guest bartenders at the Denver Press Club next Thursday, Sept. 19, from 5:30 to 7:30 p.m. Please stop by if you can to enjoy a drink and say hello.